What better way to spend a stop-over than indulging in the Best High Teas in a place full of opportunity and culture, Singapore. 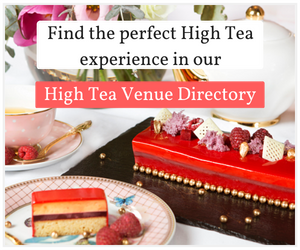 We have worked through the many amazing High Tea venues in Singapore, to bring together a list of our favourites. From old school charm stemming from the establishment of a British colony to contemporary sky-high views, Singapore’s high tea environment is completely versatile. The multiple facets from contemporary to traditional highlights the many faces of Singapore in this day and age. Located within walking distance from Singapore’s main shopping district, the Regent Singapore offers a comprehensive tea menu – a highlight in any high tea. From the delicate Milk Chocolate Ginger Log Cake to the buttery Mushroom Pie, The Regent Singapore and its diverse menu is a hot spot for any High Tea lover. Are you looking for an enchanting setting to indulge in an Afternoon Tea? Look no further than the Brasserie Les Saveurs, situated in Singapore’s premier St Regis Hotel. Coupled with the relaxing sounds of their resident pianist, their selection of gourmet sandwiches, delightful canapes and sweet delights, takes you on a journey of luxury and class. A High Tea like no other. The Westin Singapore has thrown away the traditional high tea prescription with an unusual emphasis on seafood. Panoramic views of the harbour, a glass of Champagne, and its one of a kind gourmet selection, what more could you want? Offering a selection of signature heritage dishes, the Lobby lounge allows you to relax and indulge in an opulent high tea, in the comfort of live music. The tea time favourites include finger sandwiches and fresh scones and along with its convenient location, High Tea at the Lobby Lounge at Shangri-La Singapore is an absolute must. Perfect for an escape from the crowded Universal Studios, Capella Singapore, located on Sentosa Island, provides guests with a relaxing and peaceful haven, with an exquisite view looking out onto the rainforest. The interesting flavour combinations and tropical atmosphere makes for a beautiful afternoon with a lovely High Tea. The quirky presentation of the traditional High Tea in a jewellery chest is just a glimpse into the beautiful selection of sweet and savoury delights. With 14 different components from finger sandwiches to traditional cakes, High Tea at the ANTI: DOTE lounge is an alternative take on the traditional 3-tier layout. With its contemporary feel and warm nature, 10 SCOTTS at Grand Hyatt Singapore invites you into a relaxed afternoon tea experience with gourmet tea and coffee at free flow. Perfect for any style occasion, 10 SCOTTS is a versatile yet beautiful experience, added to by the five-metre cascade waterfall. Located within a 5-star hotel, The Landing Point Singapore is the perfect location to indulge your taste buds in their gourmet three-tier stand. Ranging from Lemon Tart to Boston Lobster Cornet a l’Oriental and Duck Rillettes on Sourdough, the Landing Point offers an assortment of delights, perfect for people visiting. The internationally renowned Raffles Hotel boasts elegance and a sense of old-world charm. Having served High Tea for over 100 years, The Raffles Hotel is a must-do for visitors and has been since it was established in 1887. 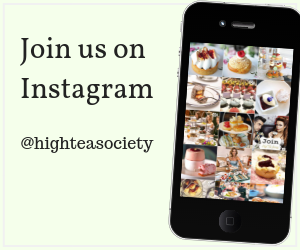 High Tea Singapore – find more venues in the High Tea Society Venue Directory. 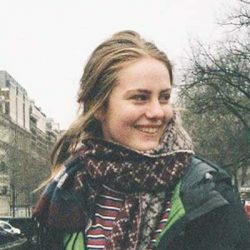 Tessa Butler is a student studying Professional Communication at RMIT University in Melbourne. She likes to indulge in popular Melbourne café culture, enjoys all things travel and has a keen interest in writing and media-based disciplines. In her spare time, Tessa enjoys exploring all the ins and outs of Melbourne forests, gardens and playing Soccer on the weekend.